Gold back as Fear Hedge? Gold has been popping higher over past days. The recent bounce on the longer-term trend and the 100-day average has been a school book example of a bunce. Note the negative short-term trend line around the 1310 area. 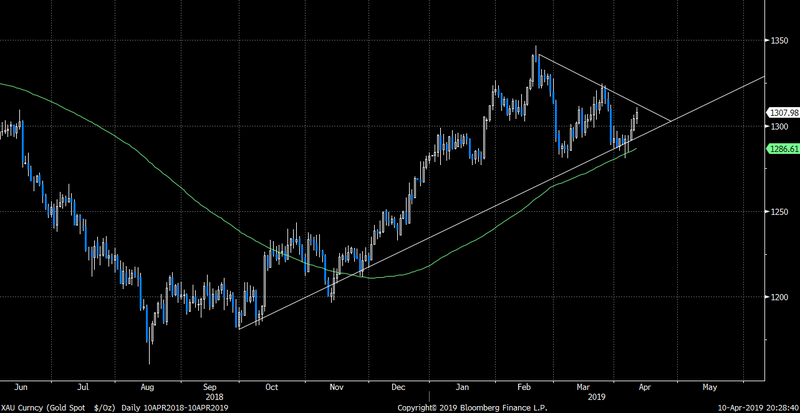 If this is a triangle formation, start preparing for a break out. Not much has changed over past days, the USD is rather flat, and no really pro gold “events” have been occurring. We find the recent bounce a bit extra interesting for those (no) reasons. The only thing that has possibly happened, is that VIX showed some signs of popping higher. 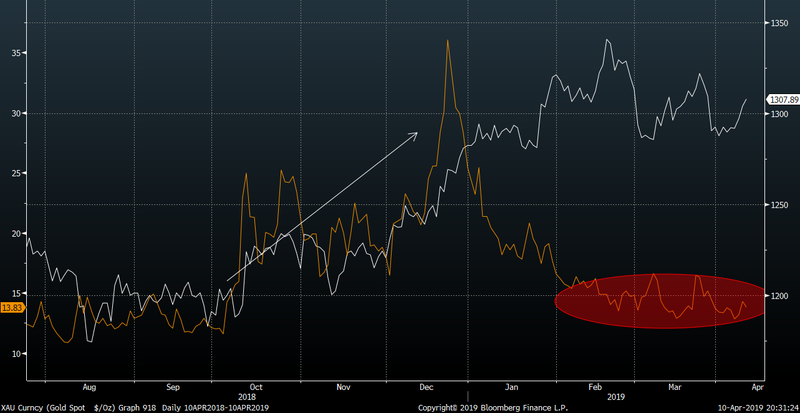 Since last summer, VIX and gold have moved in tandem. Due to the mean reverting nature of the VIX, the two assets created the recent “gap”, which over time is just a natural feature. What we find possibly positive for gold here, is the fact VIX has been establishing some sort of a floor. If this is a VIX floor, any uptick in VIX will be followed closely by gold. After all, gold is among other things a fear hedge.